How To solve The late Sound , Echo Sound Problem in Whatsapp Calls – 2G Internet Connection . 1 How To solve The late Sound , Echo Sound Problem in Whatsapp Calls – 2G Internet Connection . 1.1 How To Make Calls From Whatsapp Without echo And late Sound Problem . 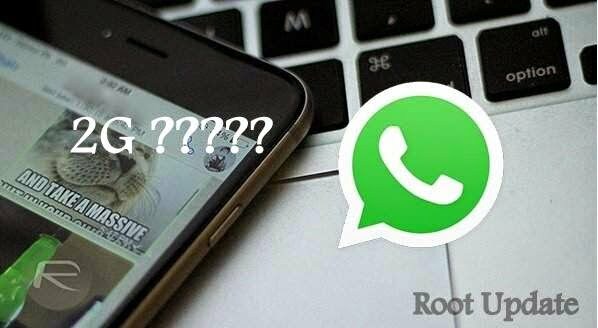 1.1.1 How To Make Whatsapp Calls in 2G internet Connection without hearing the voice Back , Echo Sound .- Rooted Users . Do You Want to Make Calls From Whatsapp in 2g internet Connection Without Any Problem , Or Are You On of Those Users Who use Low speed Internet And Wish to Make Calls Via Whatsapp , Then you Are at Right Place Today In This Post We will Tell You The Easiest way Which Will Enable Whatsapp Calling In 2G Internet Connection . i Usually use Broadband Net Or Tata Docomo 3G internet Connection , But yesterday My 3g Data Limit Expired and i was left With 2g Data Usage Everything was working Fine until i received A whatsapp Call From My Friend . What i Noticed Was whenever i said Something i heard A Echo Of my Sound Which Means If i Said ” HI WHAT SUPP BUDDY ” i Listened the same Line for two times or three Times . So i Disconnected the Call And Made a Reboot of device Because I thought it might be a Fault in my Mobile and Rebooting would fix that , But Again when i Received a Call The Echo Or Bad Sound Late Sound Problem Was Present there , So One Thing Which Was clear to me was That this is a Problem in Internet Connection which was th edge Connection . so just To overcome This Problem i Founded a fix . How To Make Calls From Whatsapp Without echo And late Sound Problem . Just For your info Whatsapp Calling Feature is a Feature which let You Make Free Calls Anywhere in the World Without being Charged a Single penny , The Calling Feature is perfect For 3G,4G And broadband users But the Users Who Are Using 2G Internet are Facing Problems Like the hear their sound Back and Then They get A Reply From The other side or 2G users are Unable to Hear the Voice Clearly , So Just To get Rid of this problem we Made a Guide , I hope it May Help You . Basically This Guide is For Rooted Users , But if You Are Non Rooted users Then We Have Simple Tweaks For You Which will Help You A little Bit To Get Rid Of This problem . First Of all i would recommend you to use Whatsapp Version 2.12.8 ( Android Version ) . Other os users Like ios , windows can Use the latest Version . So if You Have Download the Above version , Force stop All Apps like Facebook messenger , Messenger , insta And All Other apps Which Use Internet Connection . To Check Which apps use internet Connection , Goto Settings > Data Usage And you Will Se A Variety Of Apps . You Can Simply Turn off the Data Usage in Those apps By Clicking on the app and Ticking on restrict background Data usage . After Doing the Above tweaks You Will Notice A Great Change in the whatsapp Call Quality . How To Make Whatsapp Calls in 2G internet Connection without hearing the voice Back , Echo Sound .- Rooted Users . Download Es File Explorer . Launch File Explorer And Get Into Its Menu , For That Just Slide Your Finger On Screen . Now Goto Root Explorer option . Check on Enable Root explorer . Now Choose Es Note Editor . Now Click on Save And Make A Reboot Of Your Device . Now You Can Easily Make And receive Calls Via Whatsapp Without Any Echo in 2G internet connection .